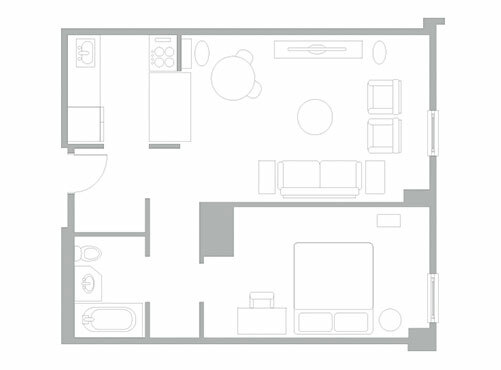 Like all Club Residences, Broadway One Bedroom units feature a full kitchen and have an average size of 600 sq. ft. (56m2). Your bedroom is appointed with crisp European linens, an enveloping down duvet and a pillow top mattress for a sense of deep comfort.